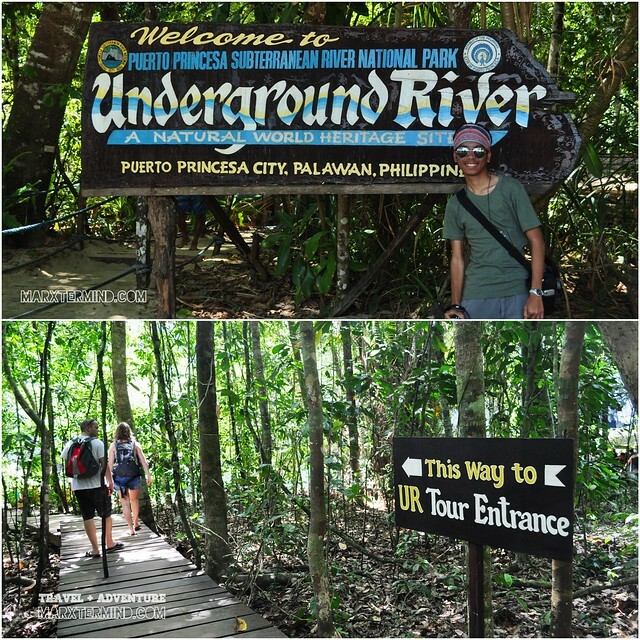 Although I’ve heard a lot of not-so-compelling reviews and feedback about the underground river tour in Puerto Princesa, I still asked my companion to include this world renowned tourist spot during our trip in Palawan. The tour is a must see for first timers, I must say. The feeling of visiting this one of the new seven wonders of nature is truly magnetic. The park was established on March 26, 1971. Located in the Saint Paul Mountain Range on the northern coast of the island, the park was formerly known as the St. Paul Subterranean National Park which comprised of 3,901 hectares of terrestrial reservation. It is bordered by St. Paul Bay to the north and the Babuyan River to the east. On November 16, 1999, President Joseph E. Estrada signed Proclamation No. 212 which expands its area to 22,202 hectares which now includes the entire catchment for the Underground River and the forest ecosystems necessary for biodiversity conservation. 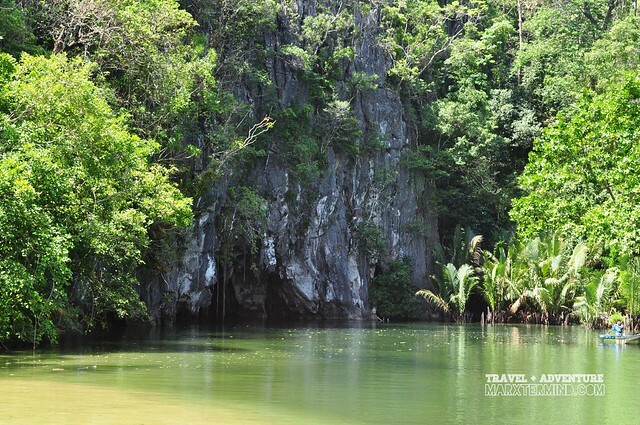 It was then renamed to Puerto Princesa Subterranean River National Park to properly identify it with the place. On November 11, 2011, the park was declared as one of the New 7 Wonders of Nature. 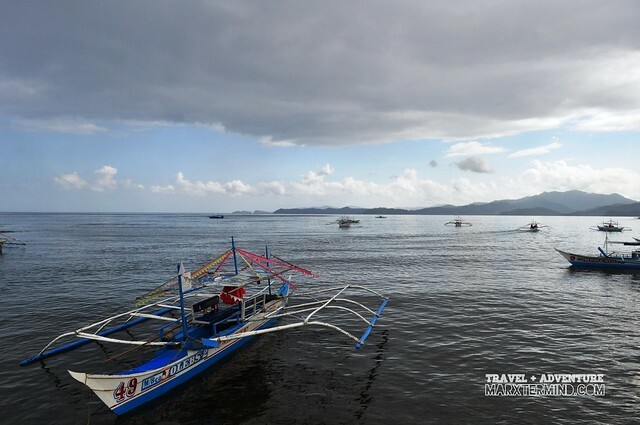 Having this privilege and title, Palawan is indeed one of the top places in the country that is truly frequented not only with local but foreign tourists. Getting to this park ain’t easy when you’re traveling alone or in duo and to add to that, you have a flight to catch in the evening. The public transport schedules and fares, tour fees and permits are the things that need to be considered and settled when taking a DIY (do-it-yourself) visit here. Since me and Paula don’t want to think about these things anymore, we’ve decided to join a tour. Paying PHP 1,500 per person for the tour that includes round trip land and boat transfers, tour permits and lunch buffet isn’t bad anymore, hassle-free indeed. Please do take note that the amount should be settled in advance. We asked our host to book us for an early morning tour so we can go back to the city before late afternoon, and so they did. We were fetched in our guesthouse at Victoria’s Guesthouse around 7:00 AM. We hurriedly finished our breakfast then immediately boarded the van. We were only 6 in the group, which is quite good actually since the coordinator wouldn’t be minding a lot of visitors and the time of waiting during the tour wouldn’t be that much. We had one stop over before reaching Sabang beach. Travel time is about 2 hours. 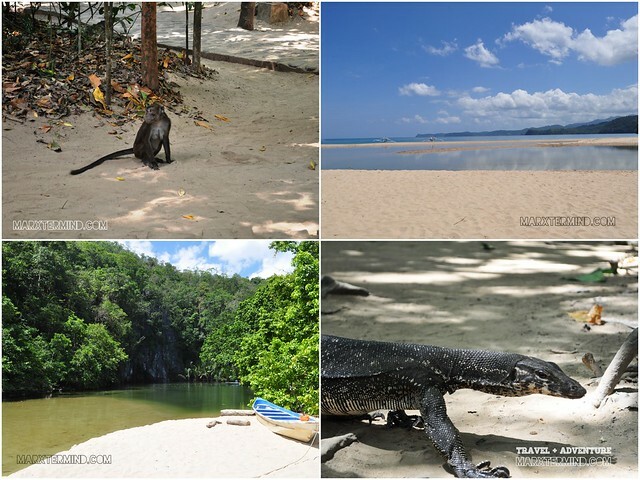 Sabang is the gateway to the world heritage-listed Puerto Princesa Underground River, you can either take a boat from the pier or have a trek through the Monkey / Jungle Trail to get to the main park. But you have to secure the necessary pass and permits before getting to the subterranean park. Due to the sharp influx of visitors, the management highly advises that a visitor secure a Visitor Entry permit. To conserve the natural state of the park, it only carry a capacity of 900 visitors a day. The management is very strict with its rule of No Permit, No Entry Policy. We paid PHP 40 each for the environmental fee which isn’t included in the package. Then we just waited for our coordinators, who took care of our passes and permits, before we go on with our tour. After waiting for almost half an hour in Sabang pier, we then boarded the boat together with our guide Noris going to the subterranean park. The boat ride took us less than half an hour we reached our destination. It was drizzling when we arrived at the park. There were already groups who came ahead of us but that don’t matter to us at all. We came prepared that this place is touristy. We entered the main park; then registered our names. 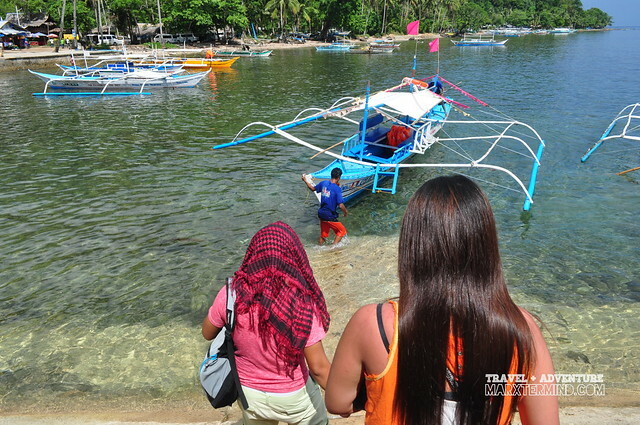 We were asked to roam around the area first as we still have to wait for our turn in getting into the underground river. It is said that the park has a range of forest formations representing eight of the thirteen forest types found in tropical Asia, namely forest over ultramafic soils, forest over limestone soils, montane forest, freshwater swamp forest, lowland evergreen tropical rain forest riverine forest, beach forest, and mangrove forest. According to wikipedia.org, researchers have identified more than 800 plant species from 300 genera and 100 families. 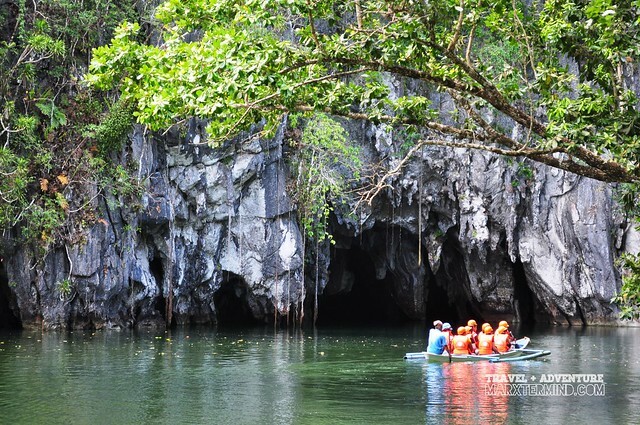 The Underground River is a more than 24 km long cave, which contains an 8.2 kilometer-long underground section of Cabayugan River. 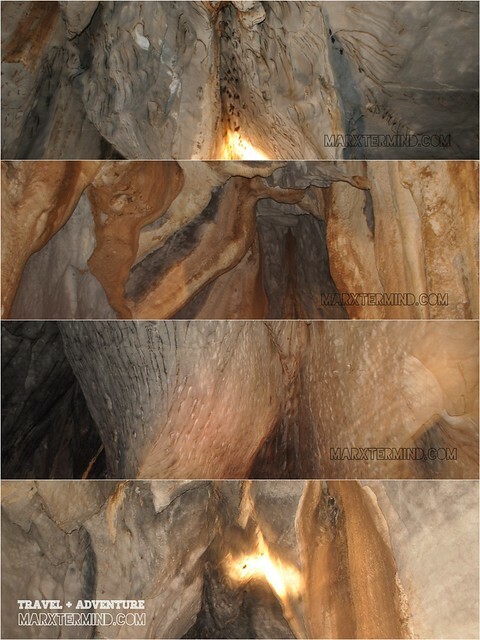 The river winds through the cave before flowing directly into the South China Sea, and is navigable with a boat up to 4 kilometers in from the sea. 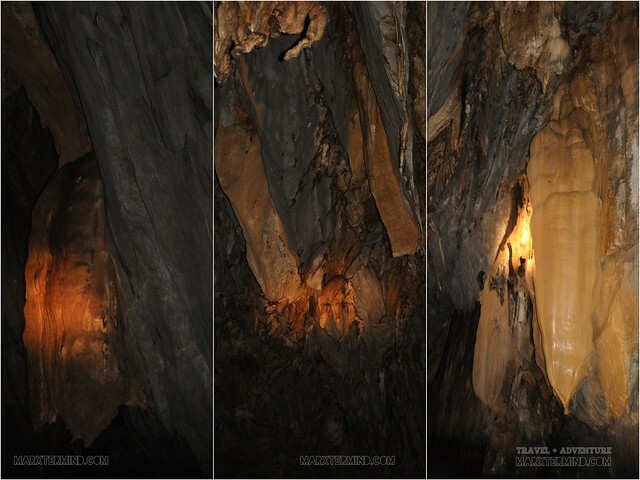 It features a limestone karst mountain landscape and many stalactites and stalagmites formations. With its 8.2 kilometer length, the river could take hours to navigate but only the first 1.5 kilometer is accessible for tourists. A special permit is needed for those seeking to explore the length of the river. It was already past 10:00 AM when we had our turn. We took our vests then boarded our assigned paddle boat. Well, that’s really a very challenging task. But what’s more challenging about the tour is simultaneously listening to the boatman’s stories and taking pictures with darkness surrounding us. I should have volunteered myself to hold that spotlight so I can take better photos. 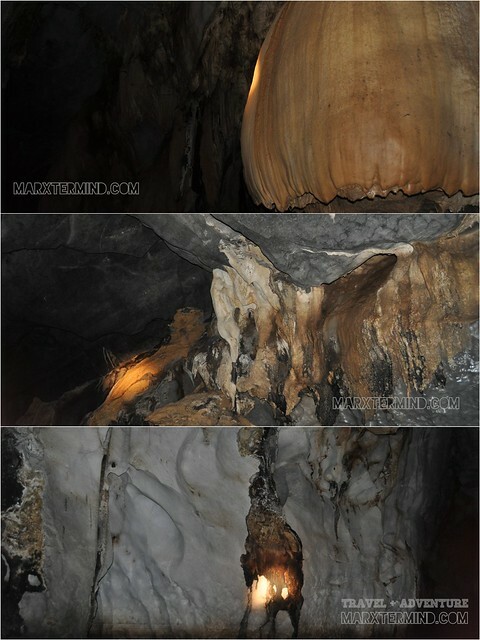 It took us about quarter an hour to explore the allowable area for the underground river tour. It was such a good time surrounded by nature’s best. I felt so proud that I was able to explore this wonder of nature. It may be too touristy but this place is still a must see. 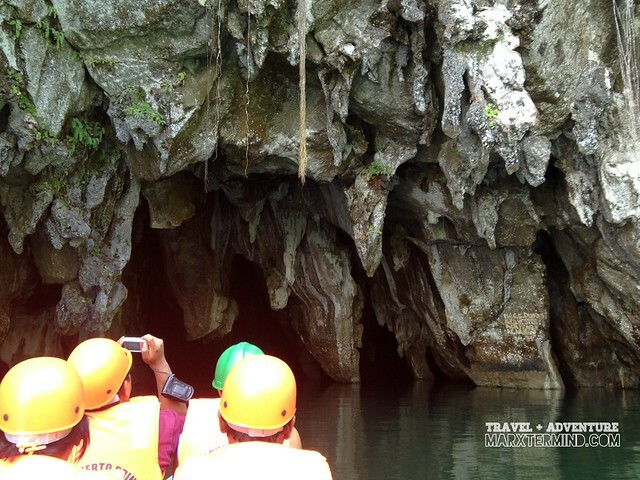 But don’t expect too much about the tour, the underground river is interesting but not that exciting if you’re looking for adventure. After the tour, we went to the beach area and boarded the same boat going to the Sabang Pier. When we reached the pier, we went to Taraw Vista Lodge and Restaurant and had our lunch. such a beautiful spot… awesome. 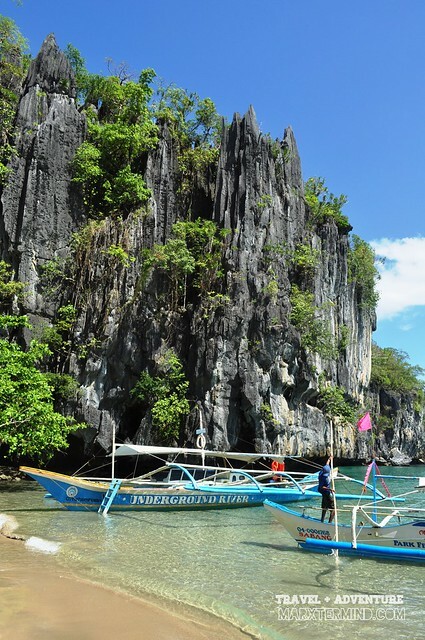 I remember our tour had a long waiting time for the queue but this tour will really make amaze with the beauty of nature of Palawan… huge cathedral-like rock formations and shapes. It is truly a natural wonder!